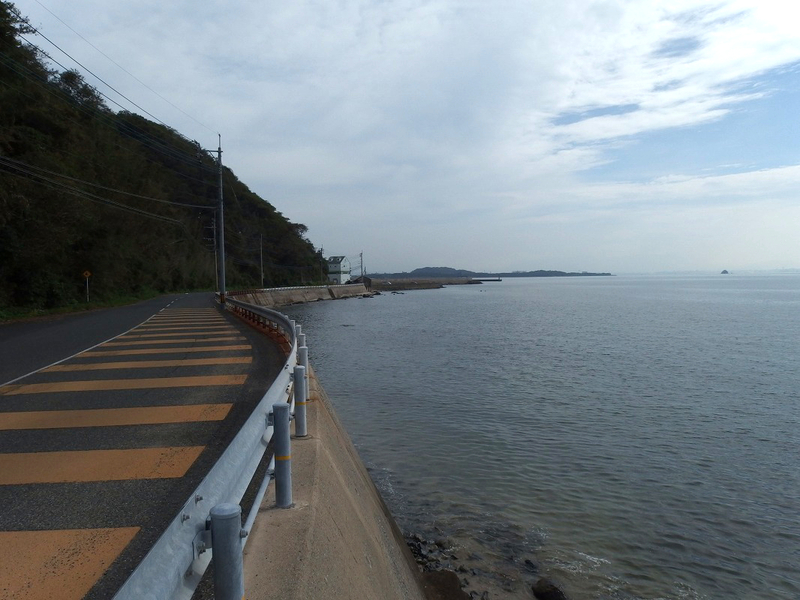 Shikanoshima Island that to introduce this time is a peninsula at the tip of the sandbar which is formed as to wrap up Hakata Bay in Fukuoka. 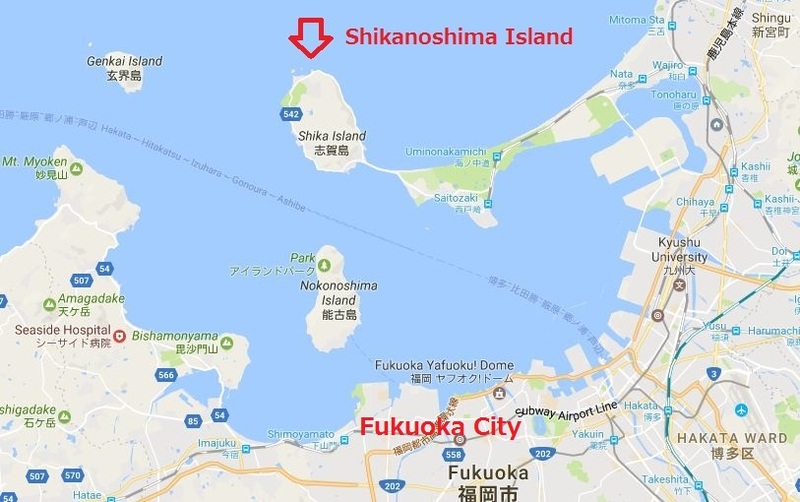 As you can see from the map below, Shikanoshima Island is connected with the Kyushu mainland, so you can access from the sea as well as from the land. 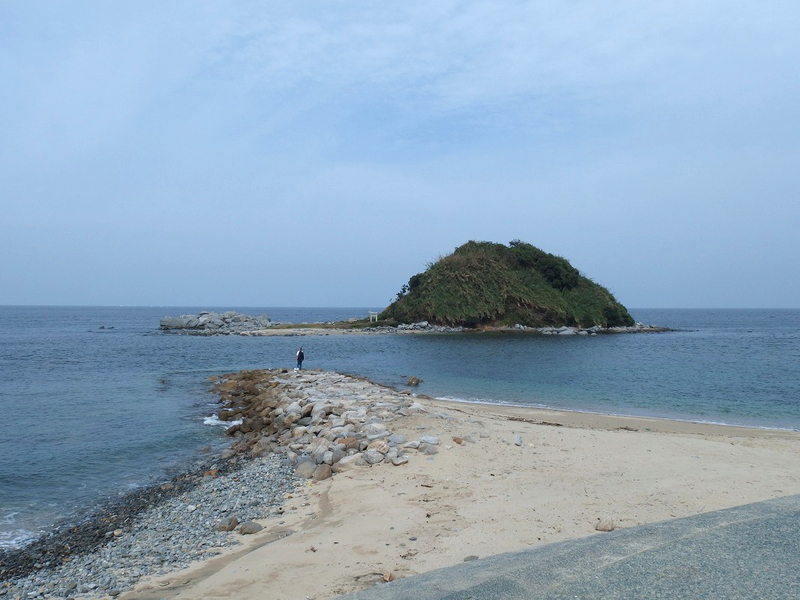 Shikanoshima Island is famous as the place where the gold seal (It is a seal made of gold given to the King of the Na country (It is an old country in Kyushu, Japan) by the emperor of the Han) was discovered. Manyoshu (The oldest Japanese Waka collection in the 7th century to the 8th century) and Nihon Shoki (Japan’s oldest official history book in about 720) also have described Shikanoshima. Also, it was the battlefield with the Mongolian army that came in around 1274 and 1281 (Mongol invasions of Japan that called “Genko” in Japanese). We can say it is an island with a very old history. 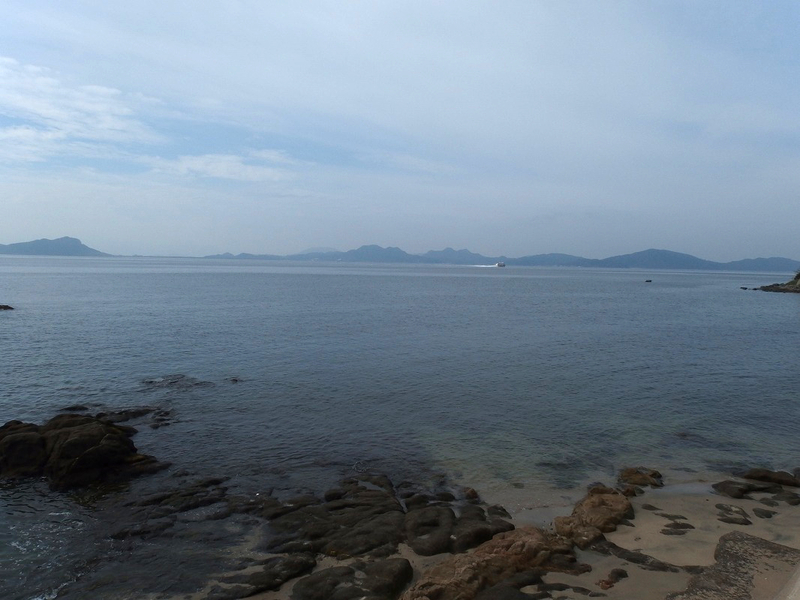 However, let’s put those historical things aside on my blog for now and I want to introduce a small trip to enjoy the beautiful nature of Shikanoshima island. Since the surroundings of the island are only 11 kilometers, it is the best place to drive and cycling while watching the ocean! 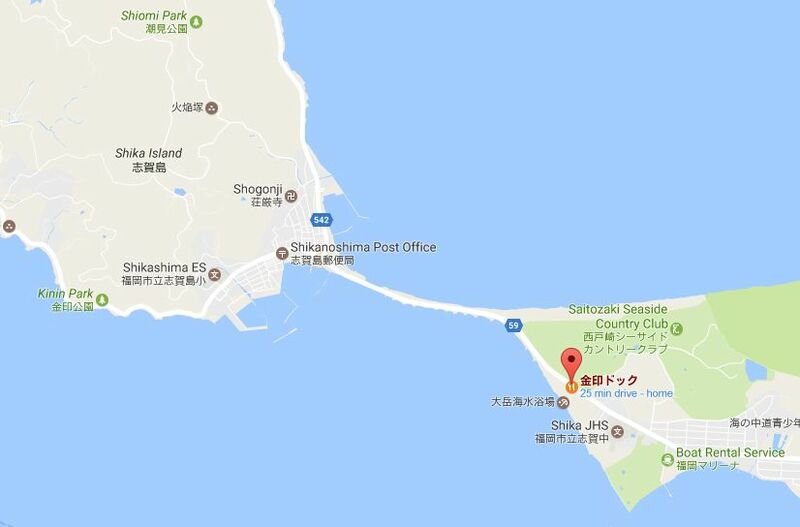 To access to Shikanoshima Island, go to Saitozaki Station (西戸崎駅) by JR Kashi line (JR香椎線) or Nishitetsu bus (西鉄バス) and then get Nishitetsu bus No. 1 or 21 from the station (As of February 2017). 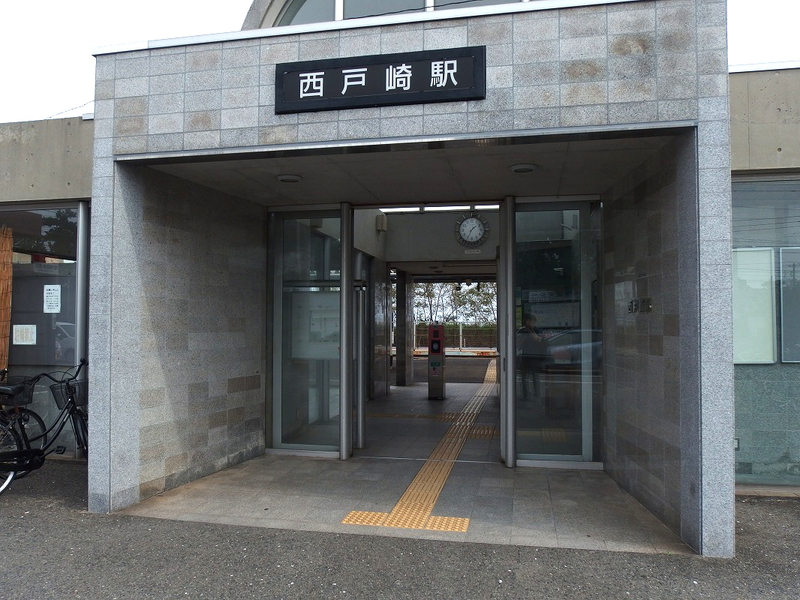 The photo below is Saitozaki Station. Or you can use a ferry from Hakata wharf. There is not so much number of service, but a ferry is faster if you are from Hakata. It takes only 30 minutes. The links are the timetable of the ferry between Hakata wharf and Shikanoshima Island, and also the route of the ferry. I took a bus from Saitozaki station and got off at the Shikanoshima bus stop (志賀島バス停). It will take about 1.5 hours from Fukuoka city by bus. 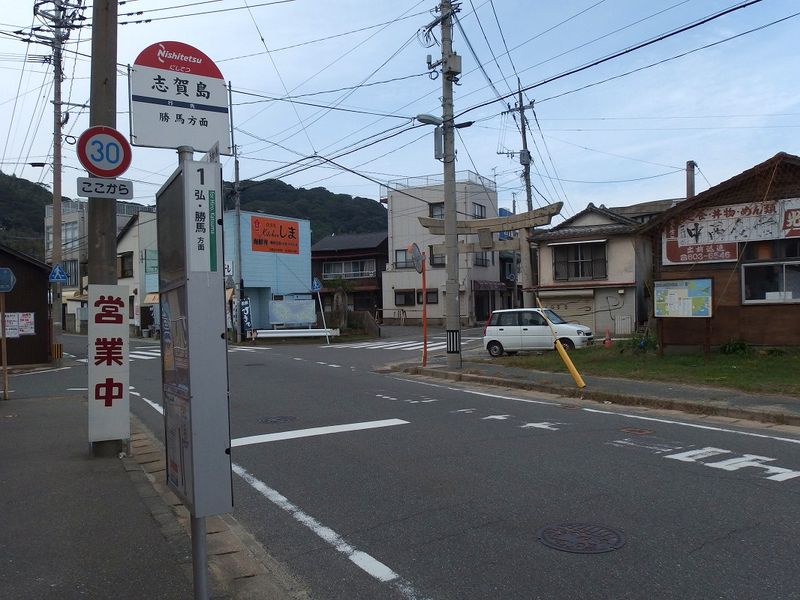 You will find a rental cycle shop in the direction of a white Torii that can be seen in the photo. The ferry terminal is also very close to this bus stop. 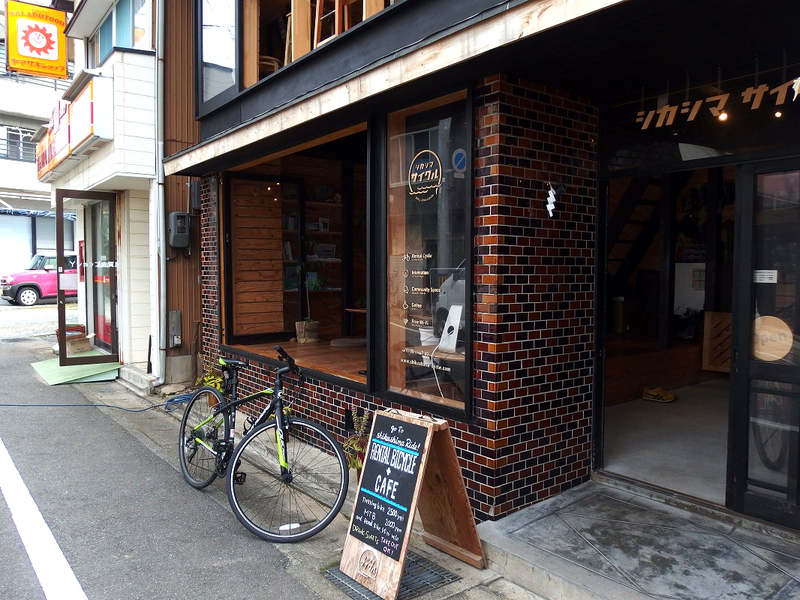 This is rental cycle shop “Shikashima Cycle” I visited this time. It is located about 1 minute on foot from the bus stop. 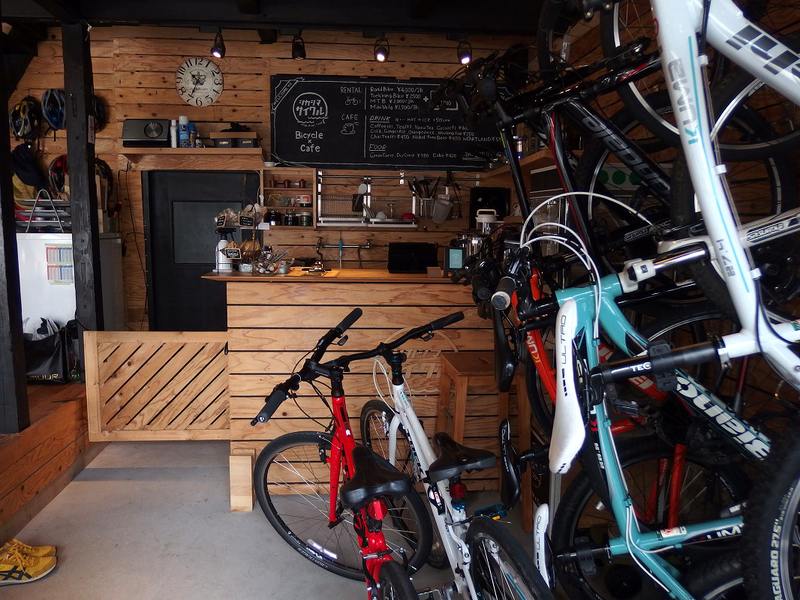 There are lots of bicycles in the shop. The following is a rental fee quoted from the site of Shikashima Cycle. Trekking bike / JPY 2,500 (per 3 hours) and MTB / JPY 2,000 (per 3 hours), Extension fee JPY 500 (Every 30 min) & Deposit / JPY 3,000. 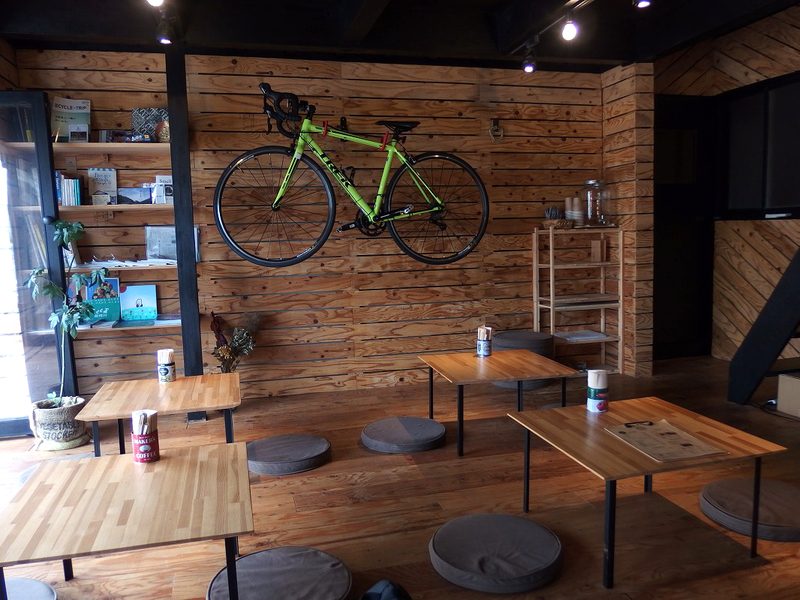 There is a nice taste of cafe space in the shop. It should be good relaxing here after cycling. Let’s start cycling! Although the weather was not that good, after all, it feels good with the sea! from November 12, 2015, to October 2017 (planned). Arrived at Katsuma Beach! I think it took around 20 minutes to here from the rental cycle shop. 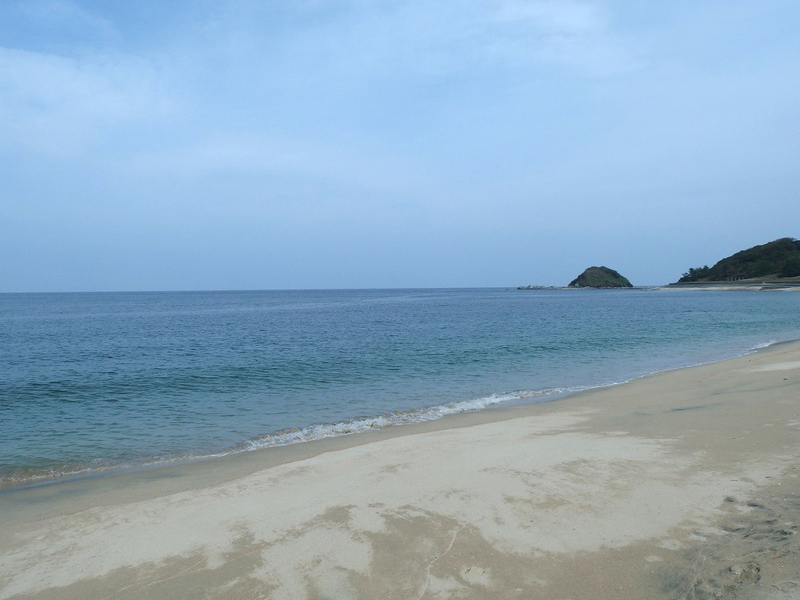 It is a weekday and there were not many people on the beach, so I spent peaceful and relaxing time. 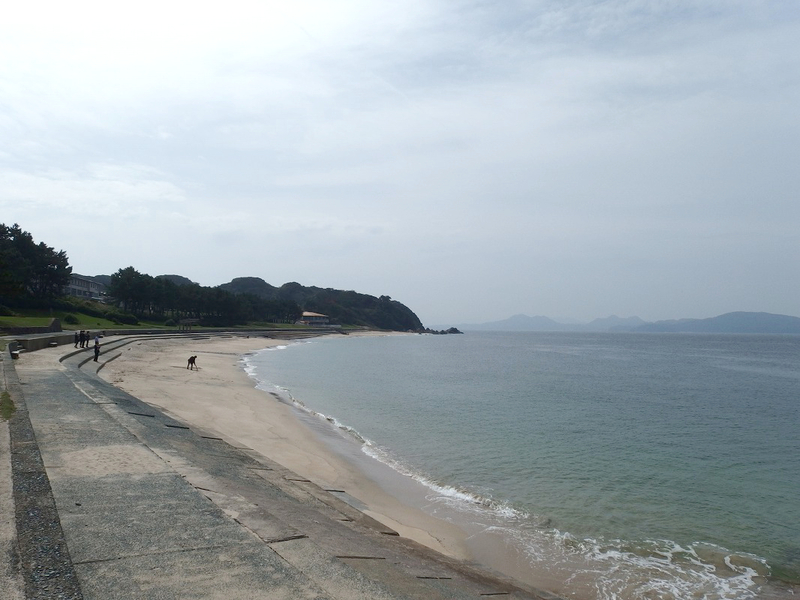 This is “Kyukamura 休暇村” in front of the beach. (It is a hotel called holiday village. This type of leisure facilities originally developed by the government near a national park and quash-national park.) It may be nice to take your time here overnight with delicious seafood and spa. 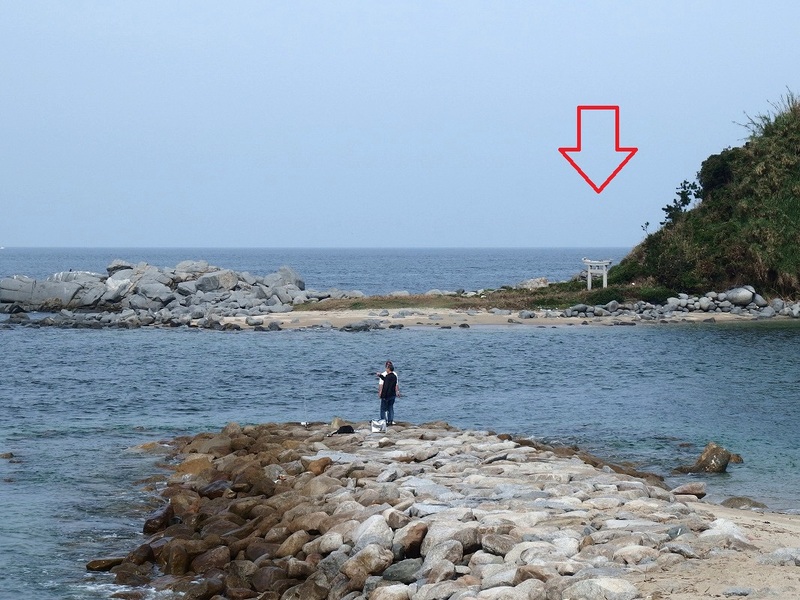 Go to the east side of the beach and you will see a torii across the sea. This is called Okitsugu-Shrine (沖津宮). There are three gods enshrined in the Shikaumi Shrine (志賀海神社) in this island and this is one of them. 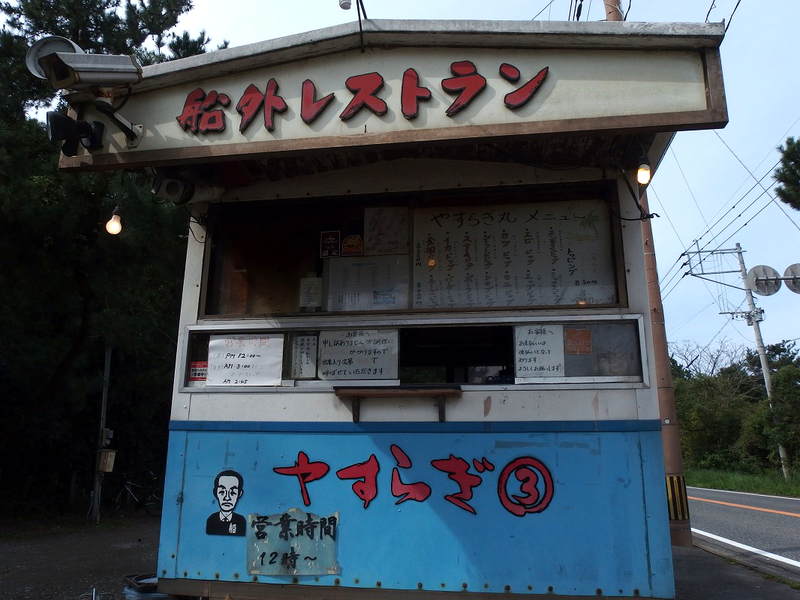 After going round the outer circumference of the island, the last place that I visited was “Kinin Dog 金印ドッグ”. 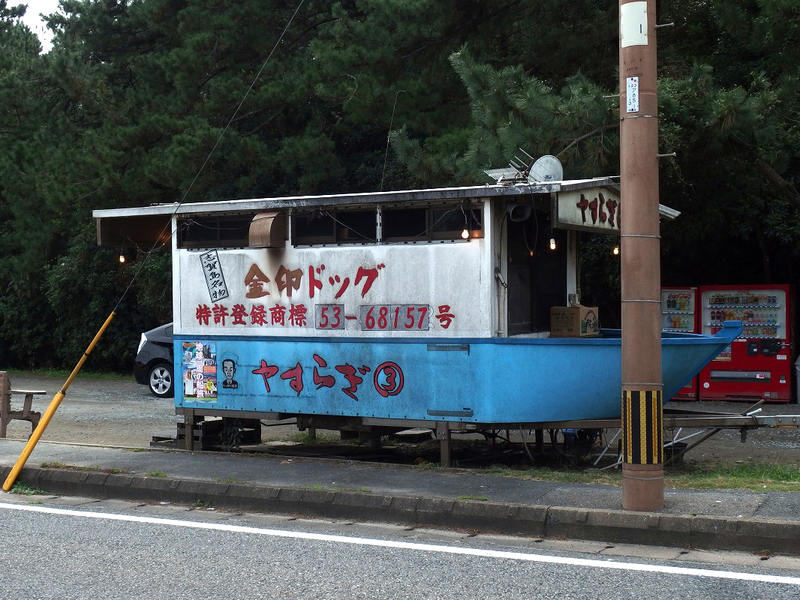 This hot dog shop is a specialty of Shikanoshima. It takes about 10 minutes by bicycle from the cycle shop, but please watch out for cars because the roadway is narrow. 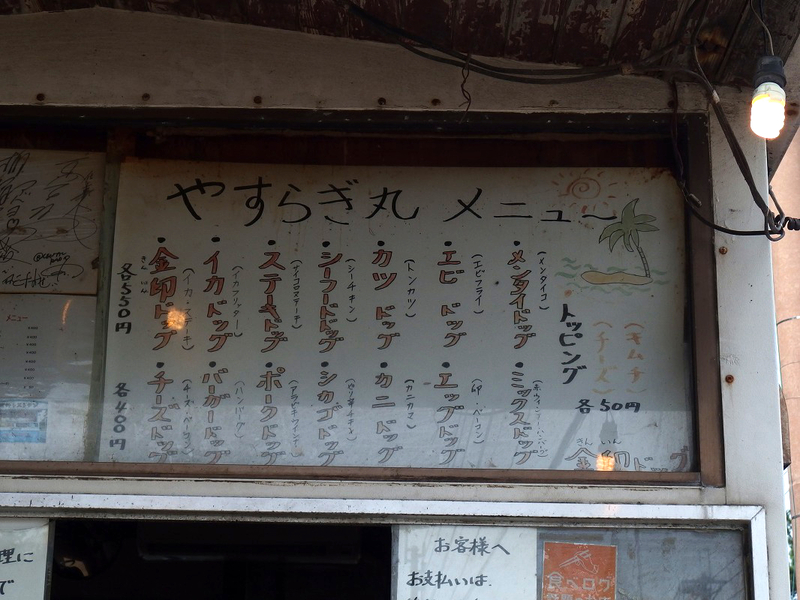 The window of the food stand. It is written opening hours are from 12 o’clock. We order it first and pay it later. We will be called by broadcasting when the hot dog is ready. There are quite a few menus, but this time I ordered a Kinin Dog (Golden seal dog 金印ドッグ), which is a specialty. 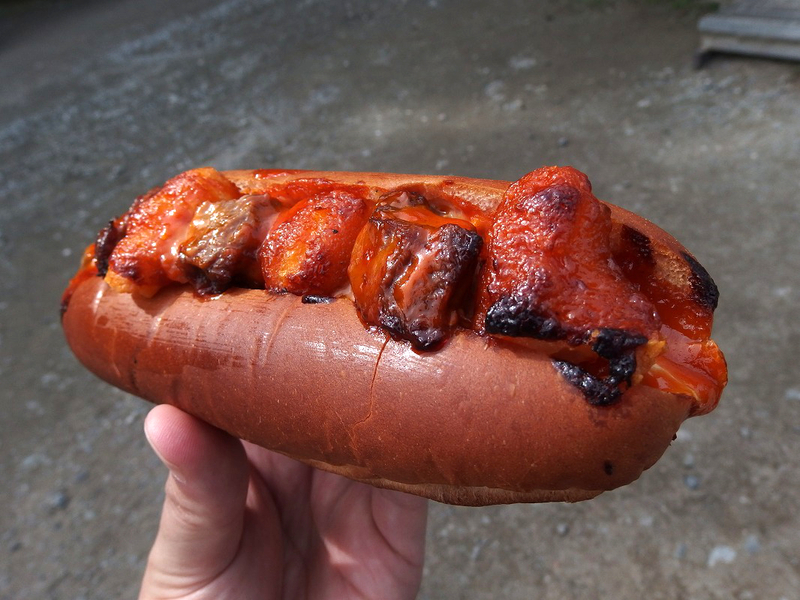 This is the Kinin dog, 550 yen. Fried squid and meat are sandwiched in the buns, and with some sauce on it. Buns were light and toasty. It was really good. There are other sightseeing spots such as Kinin Park (金印公園), Shiomi Park Observation Deck (潮見公園展望台), Shikaumi Shrine (志賀海神社), etc. on the island that I didn’t introduce this time. So why do not you visit this island once? 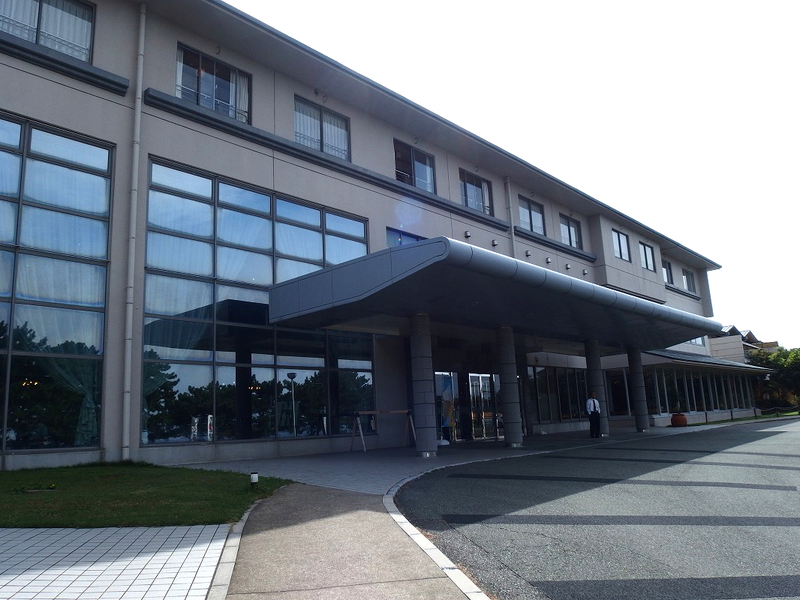 By Train and Bus: Go to Saitozaki station (西戸崎駅) by JR Kashi line or Nishitetsu bus and then get Nishitetsu bus No. 1 or 21 from the station. If you are planning to rent a bicycle, get off at Shikanoshima bus stop (志賀島バス停). Or you can go further by bus. By ferry: Get on a ferry at Hakata wharf and get off at Shikanoshima Island. Links: Shikashima Cycle, Kyukamura Shikanoshima, Nishitetsu Bus, Port of Hakata. ← In only ten minutes from the city to the island full of nature. One Day Trip To Nokonoshima Island.